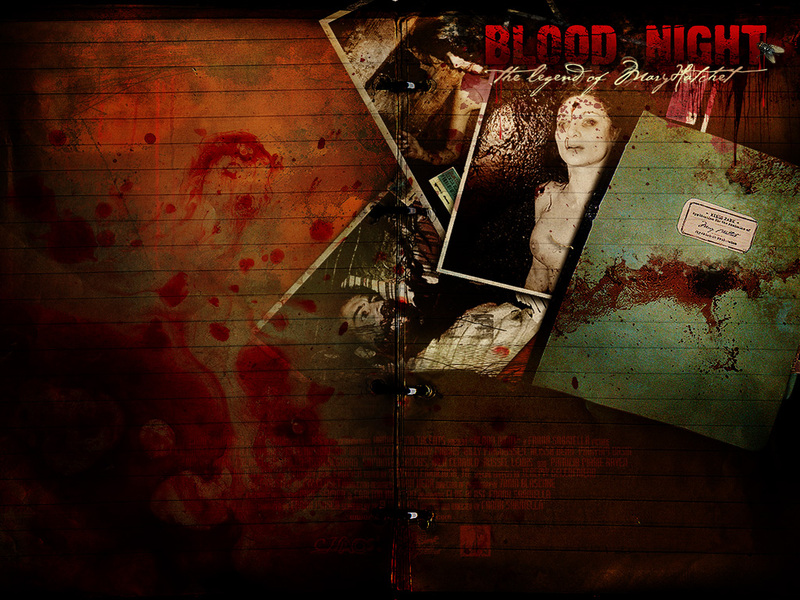 Photo temporarily borrowed from the film "Blood Night: The Legend of Mary Hatchet." 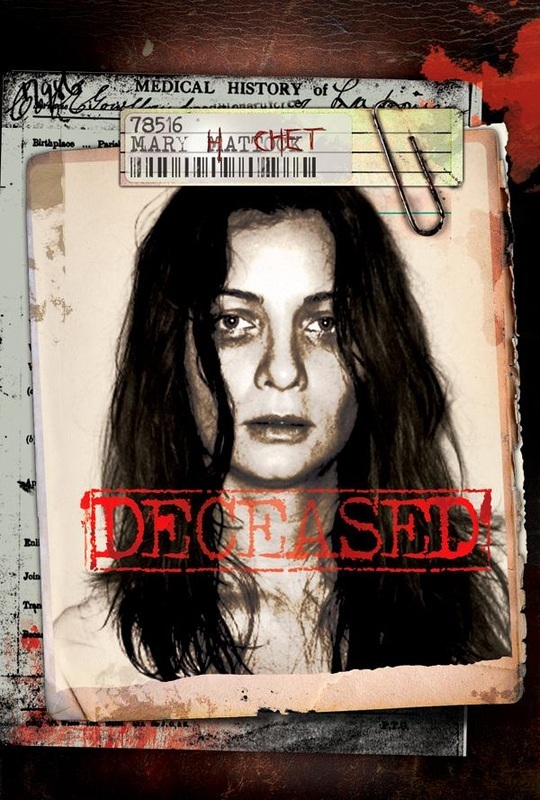 There are many tales based on the woman, who is only known as Mary Hatchet. As a popular urban legend of Long Island, she has surely gotten around. According some, she was a patient at a hospital in Mt. 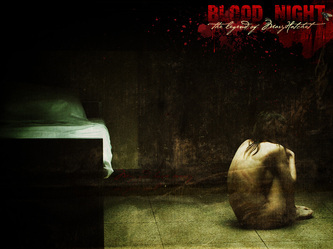 Misery, while others believe she was a patient of the Kings Park Psychiatric Center (KPPC). She's also been tied to the infamous Sweet Hollow Road, which is a supposedly haunted road on Long Island that runs through Melville and Huntington. Of course, there are legends that don't refer to her, as a mental patient. If you search well enough, you can even find the remains of a house on Long Island that is said to have been her home, except it has allegedly sunken into the ground, after being sucked down by the Devil. At least, that's the story. 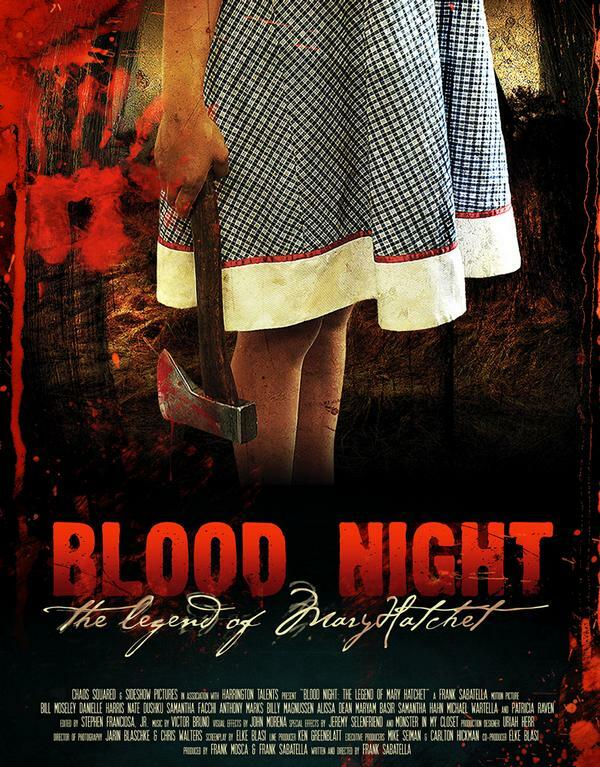 In 2008 a film was created about her called "Blood Night: The Legend of Mary Hatchet" starring the beautiful Samantha Facci in the title role of Mary Mattock aka Mary Hatchet. The film, written and directed by Frank Sabatella, partly inspired my version of her tale, which I wrote as a tribute to all of the urban legends of Mary Hatchet. This is the second story that appears in my first book, "No Hope for the Hopeless at Kings Park." 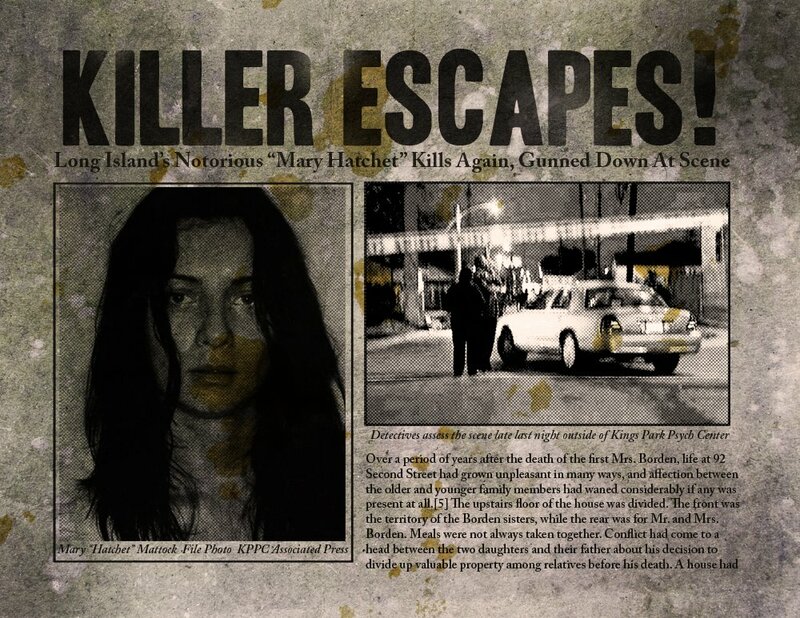 One particular version of Mary Hatchet has her murdering her parents with an axe, then being committed to the KPPC, until she made her bloody escape only to be gunned down by police. This was the version used in the film. Although, my story is loosely based on this version, I did plenty of research and could not come up with any actual proof that she was ever a patient at the KPPC. There was also no record of a female patient that escaped and was shot by police. In my opinion the urban legend of Mary Hatchet is just that... an urban legend. In this book I tell the fictional story of Mary's time, as a patient of the KPPC. It takes place soon after she murders her parents and is committed to the KPPC. 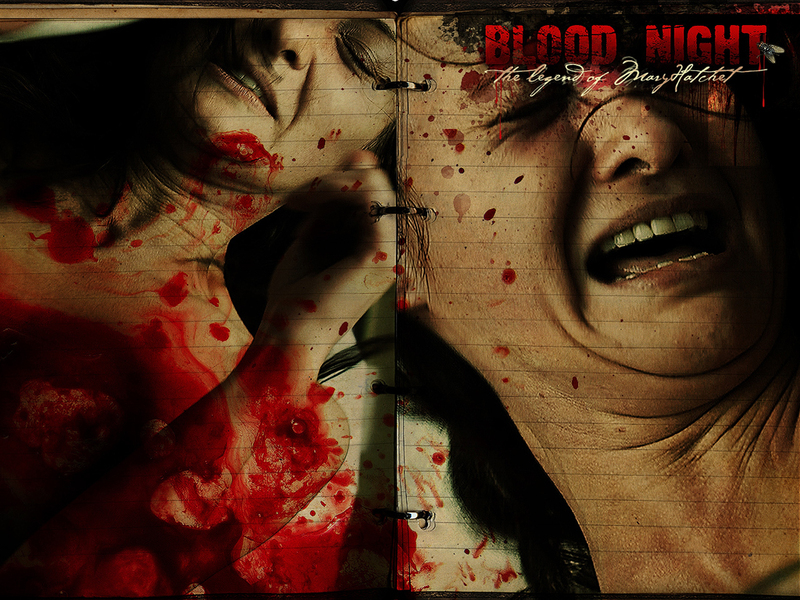 The story follows her time, as a patient, throughout the years until her escape, which results in her death.